Farmer, MLA (1923-1927), MLA (1933-1936). Born at Turriff, Aberdeenshire, Scotland on 20 August 1876, son of Hugh Barclay and Imogene Smedley, he came to Manitoba around 1911 where he farmed near Tyndall. When the First World War was declared, he went to England and enlisted with the Imperial Royal Engineers. 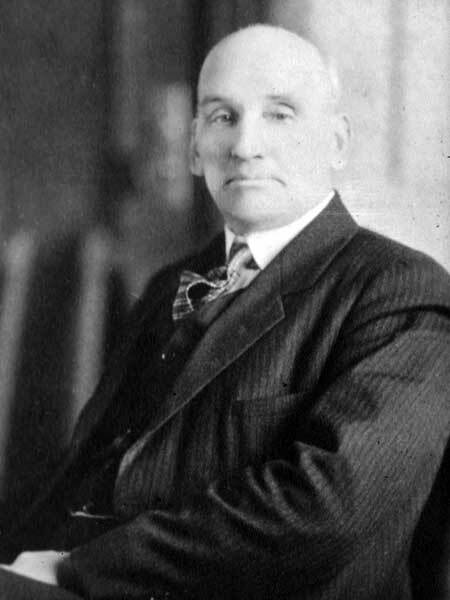 Returning after the war to Canada, he was elected to the Manitoba Legislature at the 1922 general election, representing the Springfield constituency on behalf of the United Farmers of Manitoba. Defeated at the 1927 general election by Murdoch Mackay, he ran again in 1932 and retook the seat for the Farmer-Labour party. He also served as Reeve of the Rural Municipality of Brokenhead during this period, from 1932 to 1933. He did not run provincially in 1936, and was replaced by Evelyn Foster Shannon. On 1 January 1901, he married Isabel Anne Maitland (?-?) of Deskford, Banffshire. They had seven children: Clifford Barclay, Alfred Barclay (who died in infancy), Ernest Barclay, Arnold Barclay, Sheila Barclay, George Barclay, and Moyra Barclay. He was a member of the AF & AM (Aphir Lodge). He died at Winnipeg on 22 February 1961 and was buried in the military section of Brookside Cemetery. Obituary, Winnipeg Free Press, 24 February 1961. We thank Jacob Barclay for providing additional information used here.